Here is a little peek into what will be available when i launch my vintage clothing shop. It is very exciting. I have a few baby dresses now and have my eye on a few more things. I will also be selling handmade bunting and selling a few of the vintage nighties that i will be customising into dresses for anyone who might like them! I will be selling through etsy but i have a page on facebook, so if you would love updates or would like to support a mummy who is taking on a new adventure, then please click here. These are gorgeous, I can't wait for you to launch your shop! How cute! 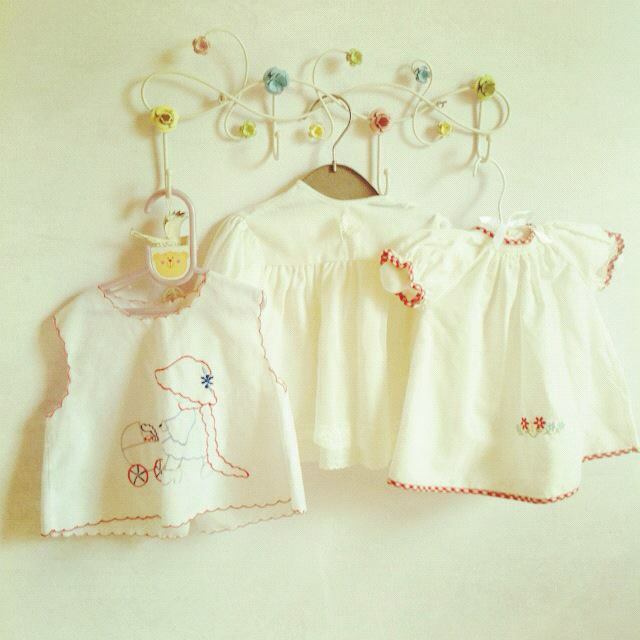 I have a few little dresses from my baby-hood which look kind of similar.. the willowy dress and the embroidery. Just so cute!